Staying warm in the cold is not just a matter of comfort but it is also a matter of health. This is especially true when you enter into your golden years, so it is important to find ways to keep yourself warm. There are a number of methods that you can use to keep warm such as being physically active, relying on providers of homecare services, and simply wearing warm clothing. One of the best ways to stay warm is by staying physically active. Doing things that require physical exertion can help you stay warm. It is also a good way to improve many aspects of your mental and physical health. This works because when you are exercising or doing physical activities your cardiovascular system will get warmed up, which means it will increase your body temperature and improve blood flow. Relying on homecare services is also a great way to maintain your warmth. They will help you maintain the temperature in your home, keep you bundled up in warm clothing, and even provide warm meals and beverages. These professionals can also lend you a hand with many other aspects of your life. This can help enhance your quality of life and provide you with the means to maintain your lifestyle. Staying warm sometimes means going back to the basics. 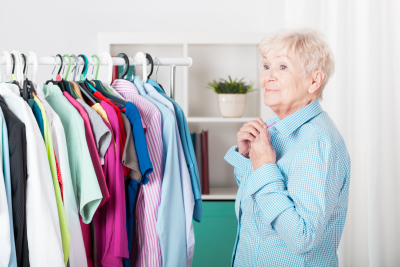 If you are too cold in your home, you may want to think about investing in warmer clothing. This is more affordable than cranking up the heat and it can be quite comfortable. You can also include blankets. A homecare agency can assist you with this and help you put them on if you have trouble. Staying warm is important and it can have a large effect on your quality of life. So it is important to make sure that you are taking the steps to stay cozy in the comfort of home. Lowenhill Home Care Services can help you stay warm through our personalized care services. Find warmth today by giving us a visit or a call.